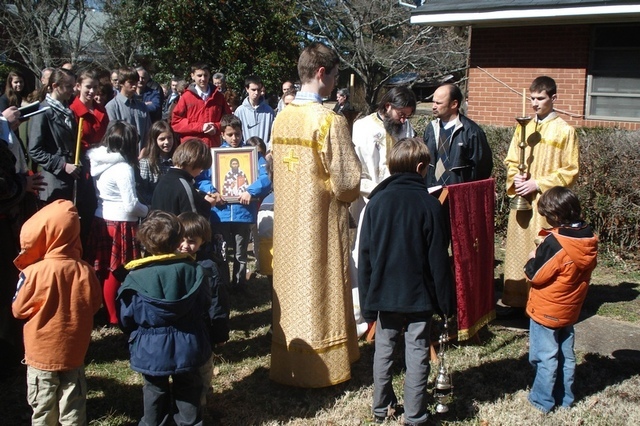 Charlotte, NC - Thе celebration of our church Slava was held on Sunday, February 28th. 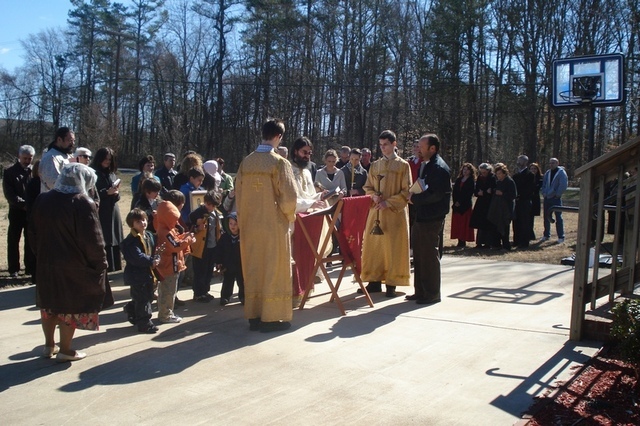 After the Holy Liturgy and Procession around the church, Slava Bread and wheat were blessed and the celebration continued with an appropriate program, keeping in mind that this is the time of the Great Fast. During the delicious, fasting lunch, we had a film presentation about Miroslav’s Gospel. Film contained many interesting information and details about Serbian history and culture. 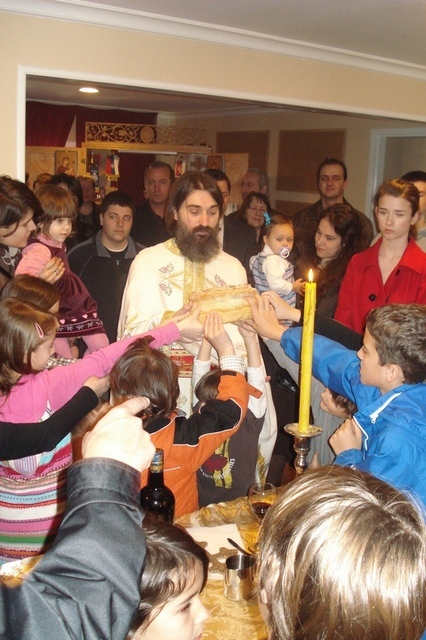 Hosts of this year’s Slava was Bjelac family. 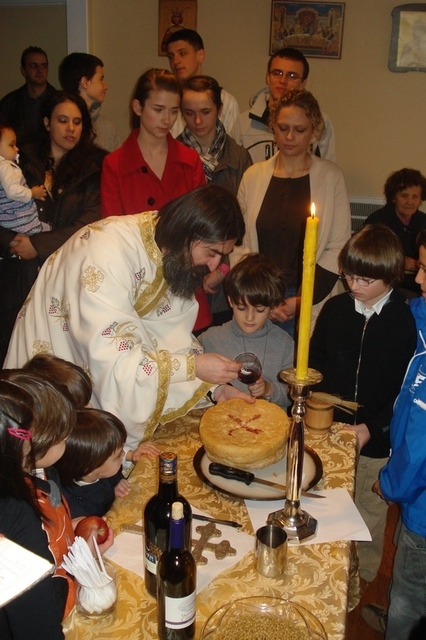 They were represented by their daughter in law, Sladjana, who prepared festive lunch with the help of Circle of Serbian Sisters. Next year’s hosts will be Radovan and Bosa Karan. We extend gratitude to all of you who helped prepare this year’s celebration and enhanced this event with your presence. 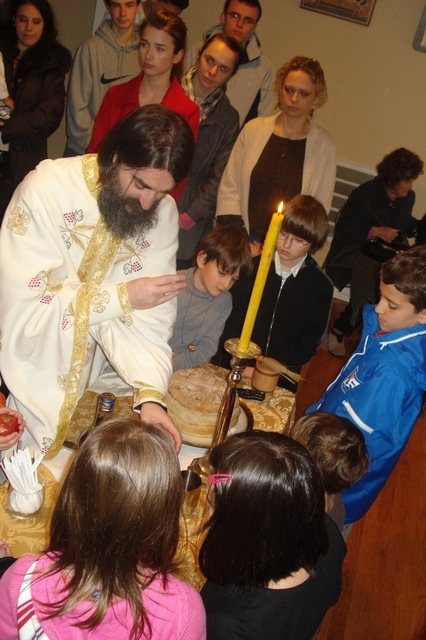 We wish them a joyous Slava and may God grant them many years!